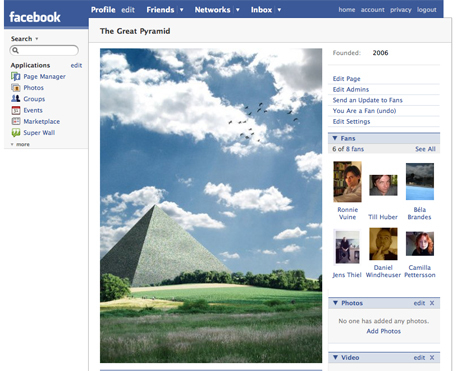 The Great Pyramid is on Facebook now. Please feel free to become a „fan“ of the project – that´s how FB likes to call becoming friends with non-people entities. Your commitment and visible support is greatly appreciated.